Because of the unpredictable and ongoing account attacks, legal threats and harassing actions of Toronto Lawyer Julie Stewart of Blackline Art + Entertainment Law against ELI to suppress the information and commentary we have reported about her (with no apparent end in the foreseeable future), we are now maintaining this Chronology of Events as they occur and unfold. Some of the dates are approximations because earlier events had to be recreated based on a combination of emails, direct/indirect references, and memory recollections. We have started with tracking major events and adding minor events as they are recovered or resurface. We have left most of the editorializing and commentary out. This is an ongoing project that will be updated periodically. October 10, 2011 – Julie emails “cease and desist” letter to original letter recipient (OLR) on behalf of Hawaiian Art Network (HAN). No hard copy is ever mailed through the postal service. October 27, 2011 – ELI receives an emailed copy of her “cease and desist” letter. October 28, 2011 – ELI publicly uploads the letter to Scribd and posts a short message on ELI forums, Twitter account, and Facebook Page referring to the letter as “Blackline Extortion Letter”. No replies of any kind are made to this short forum post. November 13, 2011 – Julie Stewart emails ELI regarding displaying allegedly defamatory content on the various ELI accounts: Forums, Twitter, Scribd, Facebook page. She informs ELI she has reported the “prohibited content” to the social media sites. November 13, 2011 – ELI provides two email rebuttals: one from Matthew Chan, the other from Oscar Michelen. In this reply, ELI takes measures to ease her complaints. References to “Blackline Extortion letter” have been replaced with “Blackline Settlement Demand Letter”. ELI explanations of colloquial use of “extortion” and “legalized extortion” are included within. November 14, 2011 – OLR emails ELI regarding Julie’s request to him for assistance in removing content about Julie from all the ELI accounts. OLR informs ELI that Hawaiian Art Network’s claim against OLR had already been settled. November 16, 2011 – ELI receives DMCA complaint notifications from ISP (eapps) and Scribd (both initiated by Julie) regarding alleged copyright infringing content on the ELI Forums and Scribd. November 17, 2011 – ELI responds to DMCA complaints and complies with the rules of by “hiding” the contested content for a pre-determined period. ELI then emails and faxes DMCA Counter-notification letters to ISP (eapps) and Scribd with detailed explanations of why ELI is challenging the DMCA complaints along with a reminder and warning of filing false DMCA complaints. Week of November 17, 2011 to November 24, 2011 – Julie’s activities and communications withheld at this time. November 28, 2011 – Julie’s attorney (name withheld at this time) contacts Oscar to speak with him regarding Julie’s complaints. December 1, 2011 – Without public notice, ELI quietly implements the following: Existing threads of Julie are locked, “hides” Oscar’s initial email response to Julie, a moratorium on any new discussion threads about Julie that may be introduced. Her attorney is notified that all of this will continue to be in force unless Julie makes direct complaints or takes direct actions against ELI. December 6, 2011 – Julie’s attorney (unnamed at this time) informs Oscar that the “offer” is declined. Nevertheless, ELI continues with policy of silence regarding Julie in the interest of minimizing additional drama. December 13, 2011 – By this date, Julie has left messages for OLR to return her phone call. December 14, 2011 – OLR advocates “compassion” on behalf of Julie. ELI “hides” Blackline Settlement Demand Letter on Scribd as requested by OLR. ELI informs OLR that he has the freedom to remove his forum comments. However, all other commentary will remain on the ELI Forums. Despite this, Julie emails OLR with a “notice of defamation” for making comments about her letter on the ELI Forums. In that email, she objects to the display of her resume contents which is easily found online. Within that email, she provides a laundry list of URLs that later show up within Bruce Rosen’s letter to ELI. 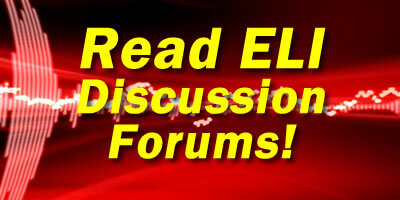 She comments on alleged changes and alterations made to the ELI Forum. December 19, 2011 – OLR receives advanced copy of Bruce Rosen letter intended for ELI. None has been sent to ELI. Julie makes another threat to file action against alleged defamation to OLR. December 23, 2011 – ELI receives Certified Letter from Bruce Rosen. December 30, 2011 – ELI informs Bruce Rosen with a brief email that official replies would come after New Years Holiday Weekend. January 6, 2012 – ELI (Matthew Chan) emails and faxes rebuttal letter to Bruce Rosen. January 13, 2012 – ELI receives notice from Facebook of post takedown regarding Matthew Chan’s reply to Bruce Rosen. More details and dates to come. Check back for updates.